You may contact us by emailing us using the below form or by phone. Our customer support team is available Monday - Friday from 9am to 5pm (Excluding Bank Holidays) on 057 8600565. 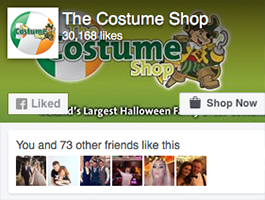 TheCostumeShop.ie, Clonminam Business Park, Portlaoise, Co. Laois, Ireland.